Ruin of major light, originally erected in 1897. The lamp was occulting with 4 sectors, 2 white, 1 red and 1 green. The beam height was 4.6 m above sea level. Cast iron lantern with breakwater and railings about 80 cm high. Half the breakwater is missing. Used to be about 8 m long (originally 12-15 m) and 0.8 m wide. 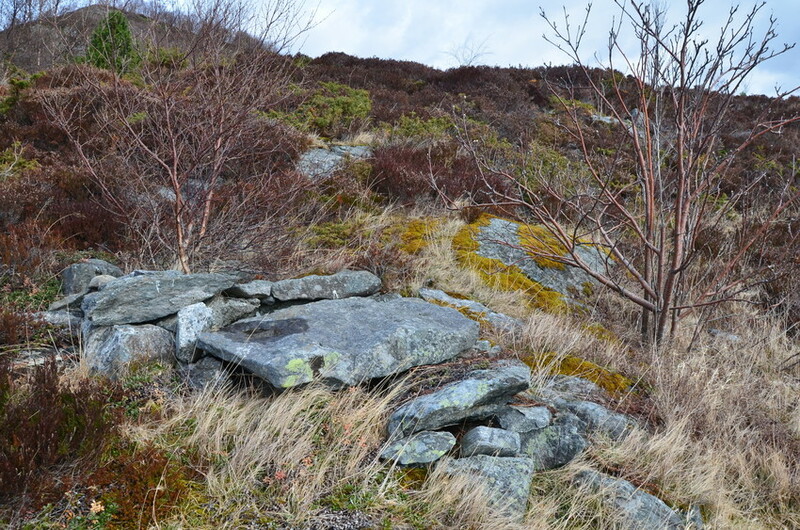 9 m N of breakwater, ruins of oil shed. All the timber is gone. In front of it remain the fine stone steps with large stone slab. Four mooring bolts around it. A slipway lies roughly 15 m W of the breakwater sheltered by a small promontory. Difficult to land round the breakwater. The slipway has probably been used in connection with maintenance and transport of oil. Replaced by a major light on northern bridge pier of Herøybrua 1976. Ruin of major light, originally erected in 1897. The lamp was occulting with 4 sectors, 2 white, 1 red and 1 green. The beam height was 4.6 m above sea level. Cast iron lantern with breakwater and railings about 80 cm high. Half the breakwater is missing. Used to be about 8 m long (originally 12-15 m) and 0.8 m wide. 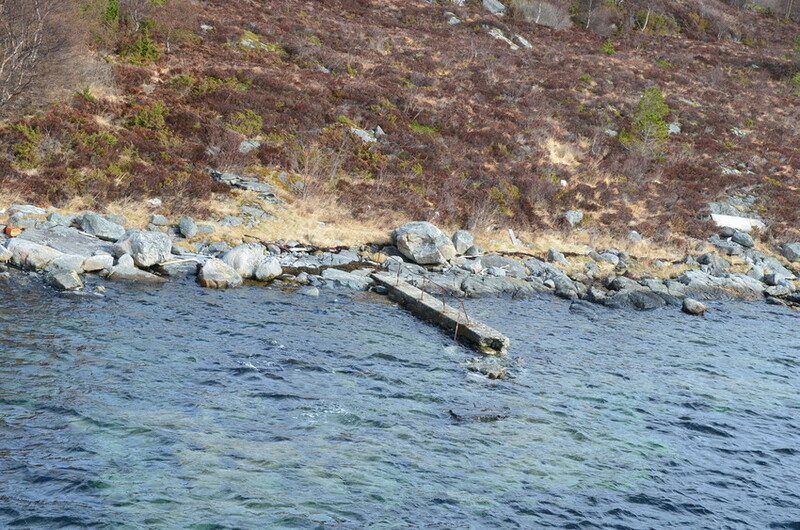 9 m N of breakwater, ruins of oil shed. All the timber is gone. In front of it remain the fine stone steps with large stone slab. Four mooring bolts around it. A slipway lies roughly 15 m W of the breakwater sheltered by a small promontory. Difficult to land round the breakwater. The slipway has probably been used in connection with maintenance and transport of oil. 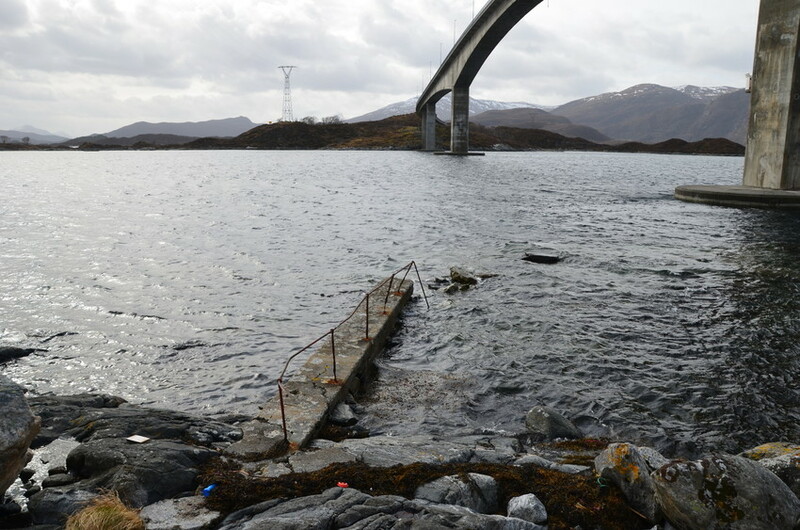 Replaced by a major light on northern bridge pier of Herøybrua in 1976.